We recently made a short demo video of Ilini to give our visitors a quick overview of Ilini’s features and resources. Here it is, followed by a transcript for those who would rather like to read. Enjoy! Why learn a foreign language? We usually learn a foreign language to get access to a new world. To communicate with people, to discover their culture and to understand what they talk about. But it often seems that there is a lot to learn before starting to understand what is happening on this other planet. That is why we created ilini.com. 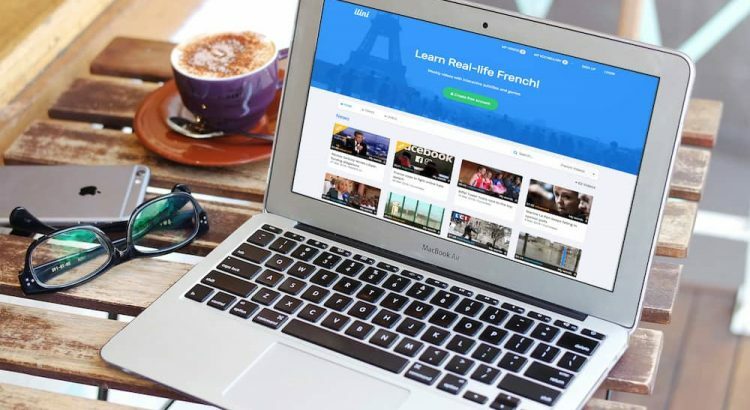 Ilini provides weekly news, culture and entertainment videos in French – with smart tools allowing you to improve your French while diving into francophone life. On Ilini, you can watch short videos with interactive subtitles in French or in English. Click on any word or expression you don’t know to see its translation and hear its pronunciation. Every word you click gets added to your personal words list together with its context. You can come back to your list later and rehearse, without having to take any notes by yourself. Ilini provides online quizzes to test your understanding of the videos. Quizzes will help you switch your brain into active mode and make sure you’re making progress. Every video also has a transcript, a translation and a set of additional exercises (with their answers) that you can download and print out. You can use these on your own, and they are also great for classroom activities. If you are a teacher, these resources will save you hours of preparation time. You will also love our online classroom, which allows you to give assignments based on the videos to your students and to review their work online. The videos are short (maximum 2 minutes) and categorized by topics and difficulty levels. These are real-world videos, directly taken from TV programmes and online channels every week. Ilini gives you access to what French speakers themselves watch. This makes your learning experience more fun and enjoyable, and it helps you learn faster. Watching videos with subtitles on Ilini is entirely free. If you like it and want to learn more efficiently with our optional features, you may choose a subscription plan adapted to your needs. Thousands of learners and teachers already use and enjoy Ilini. So go ahead and start improving your French now!